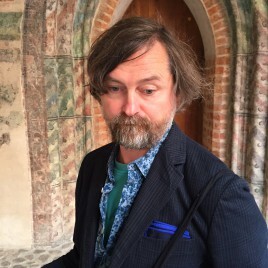 A historian, an art critic, an exhibition curator and an art dealer.He is the author of many publications relating to art, literature and food.Since 1989, his texts about art have been published in prestigious industry magazines.He collaborated as a critic with the Tygodnik Powszechny weekly for 14 years. A long-time collaborator of the TVP Kultura channel, where he was the host of the daily program Informacje Kulturalne; currently we can watch him there in Tygodnik Kulturalny. From 2011 till 2013, he was the editor-in-chief of the Art&Business monthly. In 2013, the WAB publishing house released his book Literatura od kuchni [Literature from the Perspective of the Kitchen], which describes relationships between literature and the art of cooking.